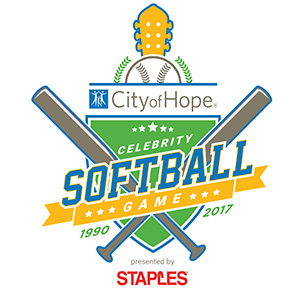 More artists announced for City Of Hope 27th Annual Celebrity Softball Game! City Of Hope’s Celebrity Softball line up for this years game just keeps getting better! The newly added names are Craig Morgan, The Swon Brothers, Jessie James Decker and her husband NFL player, Eric Decker, Jackie Lee, Maggie Rose, Drew Scott from HGTV’s “Property Brothers”, and Todd Chrisley, Savannah Chrisley, and Chase Chrisley of USA’s “Chrisley Knows Best”. Already announced artists for the iHeart Media team VS the SiriusXM/Grand Ole Opry team are: Kellie Pickler, Bobby Bones, Sara Evans, Lauren Alaina, Aaron Watson, Danielle Bradbery, Trent Harmon, and Kaitlyn Bristowe and Shawn Booth from ABC’s “The Bachelorette”. Reba McEntire will be singing the national anthem at the game! Tickets are on sale for $15 or $35 dollars with %100 of the proceeds going to City Of Hope. For more information make sure to check out cityofhope.org/softball. ← Previous Story First ever Muttnation March to happen during CMA Fest! Next Story → Old Dominion Release Music Video and Announce Sophomore Album!